Teflon AF based degassers offer the widest range of chemical compatibility and are used to eliminate retention shifts and baseline fluctuations. 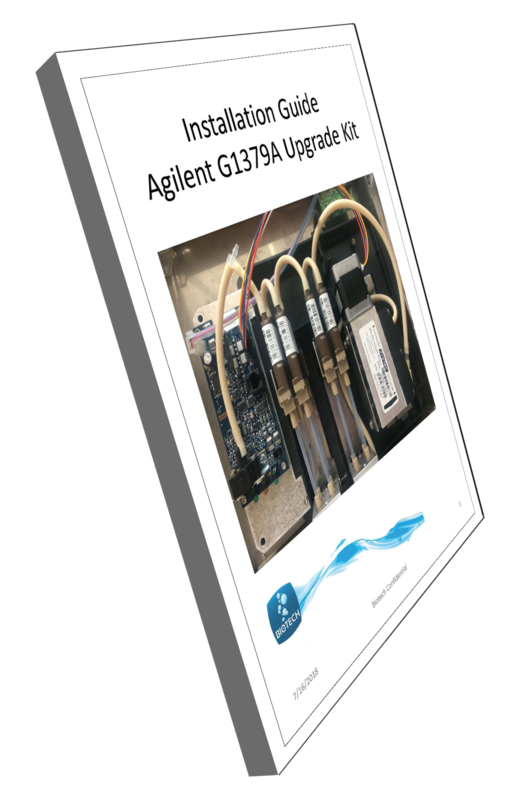 Silicone based degassers offer the highest flow rate capabilities for water based systems such as diagnostic and life science instrumentation to improve dispense accuracy and reliability. Poridex based products provide rapid bubble remove for locations where bubble introduction cannot be avoided. Dissolved gases are actively removed from a flowing liquid stream by vacuum via the IDEX Health & Science AF® membrane. Dissolved gasses in a fluidic system can often cause troubles. When the pressure or the temperature changes, the dissolved gasses can form bubbles which affect the accuracy, precision and performance of your equipment. On-line degassing is a very efficient way of removing dissolved gasses from the liquid and preventing bubble formation. Why Degas Your Mobile Phase? Dissolved air in HPLC mobile phases can result in flow rate instability and baseline disturbance. Flow rate instability: Non-degassed mobile phase can outgas in the pump head, causing bubbles to be formed and trapped inside the head or check valves. These bubbles can cause flow disturbances and pressure fluctuations, resulting in flow rate instability. flow cell cause detection disturbances, exhibited as baseline noise. Biotech AB is specialized in degassing of liquids. 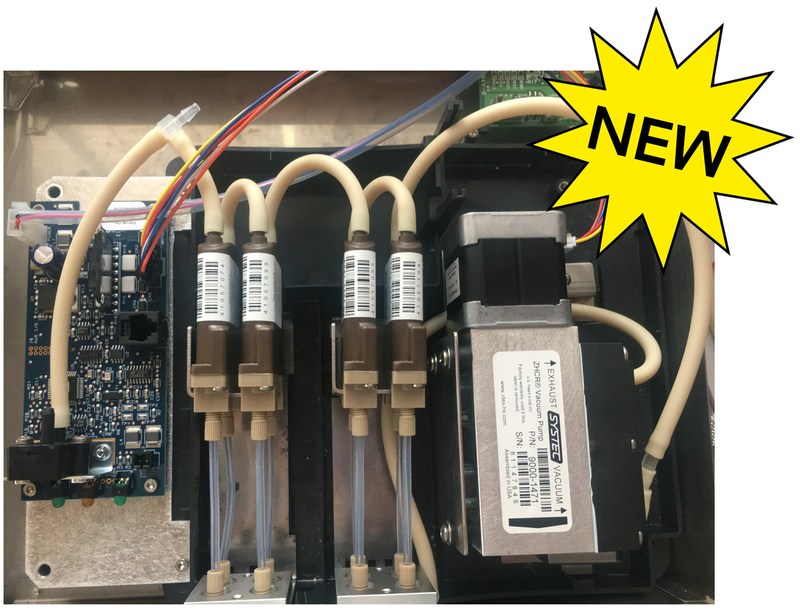 With Systec components you can be sure to get degassers with the latest cutting edge technology. Except for our unique range of DEGASi® Standalone degassers, Biotech offers custom made degassing modules to fit your need. Biotech supplies degassing modules to some of the world’s largest instrument manufacturers. In many low pressure systems, such as diagnostic instruments, bubbles in the fluid stream can cause false detection readings and dispense anomalies. For these systems, the Systec Active Debubbler captures and removes bubbles before they can affect the instrument or the results. Unlike passive bubble traps where bubble removal is dependent on backpressure, the Active Debubbler can be installed before or after a pump and provides consistent debubbling regardless of the system conditions. Dissolved gases and bubbles in system liquids cause dispense volume anomalies in many instruments, negatively affecting both dispense precision and analytical accuracy. Now you have a choice of components for actively removing bubbles with or without also removing dissolved system gases. Online Vacuum Degassing offers operating convenience, high efficiency and low operating costs compared to other common degassing technologies. In medical analyzers, bubbles interfere with critical volumetric reagent dispenses and cause sample failures, wasting time and money. Because bubbles adhere to nearly every part of a dispensing system, high velocity or induced turbulent flow is often used to displace and discharge bubbles from the flow stream and into a waste area. These alternative processes waste reagents and are time consuming, unpredictable, and may additionally require designing the system to recognize bubbles are present. Biotech AB proudly presents a DEBUBBLER for removal of bubbles in liquids. Improve the precision and accuracy in your instrumentation with our new line of debubblers. The new debubbler can be used in every liquid transferring system where bubbles may occur; Dispensing, DNA-sequencing etc. Custom designed modules upon request. We offer total systems responsibility in the field of degassing and debubbling. DEGASi PREP PLUS uses a revolutionary new technology that makes it possible to degass organic solutions with higher flows in a cost effective manner. This means that you can increase your capacity at a lower price. The DEGASi® PREP+ is the perfect choice for efficient degassing of many types of liquids at high flow rates, up to 75-100 ml/min per chamber. With four chambers coupled in parallel, a flow of 300-400 ml/min can be used. Our latest addition to the DEGASi® standalone series is the DEGASi® PLUS. It can be equipped for a wide range of applications, depending on what kind of performance you need. Biotech in co-operation with IDEX H&S are proud to announce the world’s first in-line, membrane degasser ready to use with aggressive media and organic solvents, while maintaining flow-rates up to 75-100 ml/min per channel and above. Available configurations: Stand alone, OEM open frame and 1-4 channels. For furher information click here. The DEGASi HIGH FLOW is also avalible as an OEM version with an open-frame structure and uses a different power delivery. Please contact us for more information.